109 years!! 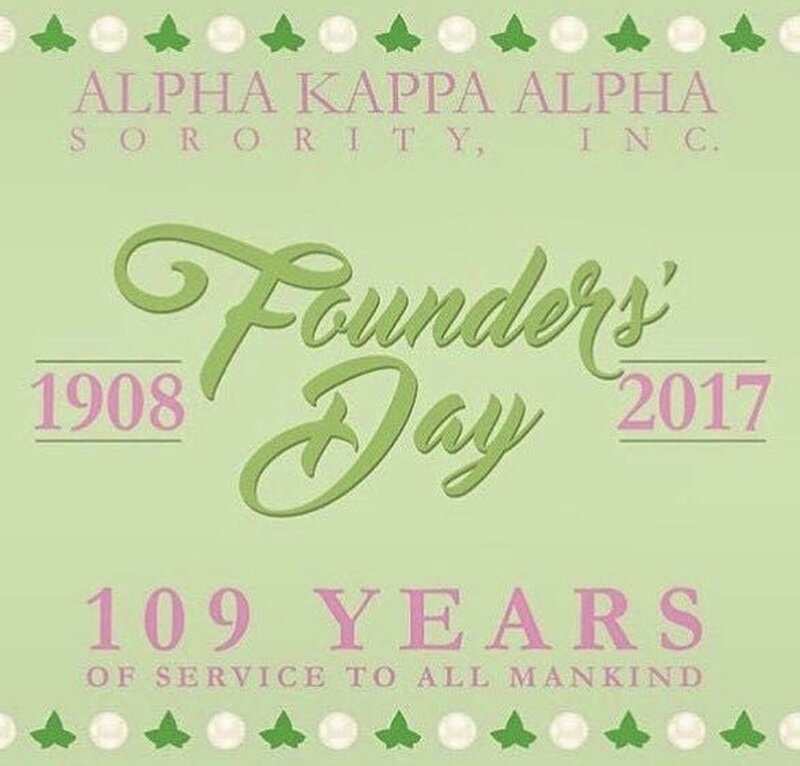 Happy Founders Day to my Sorors of Alpha Kappa Alpha Sorority Incorporated!!! Founded at Howard University on January 15, 1908, 20 women led by Ethel Hedgeman Lyle created the FIRST Black Greek letter sorority that would grow to have a membership of more than 250,000 women. We are charged with the calling to be of service to all mankind. So blessed for my organization to be able to see another year of service, success, sass and class. Fine as wine, good as gold, the Phirst and the Phinest for all to behold... Alpha Kappa Alpha Sorority, Incorporated has had a major impact on my life both in my ability to serve my community and the world, and I'm blessed to be in my 12th Year of membership in this illustrious sorority. Blogging from the 2010 Sprite Step Show at the Roseland Ballroom! Loving it!